When you’ve been in a relationship for a while, you can sometimes find that you want to spice things up a little. You can try acting out some fantasies, or you can dress up/role play etc. One way you can change things up in the bedroom is by exploring each other’s bodies. 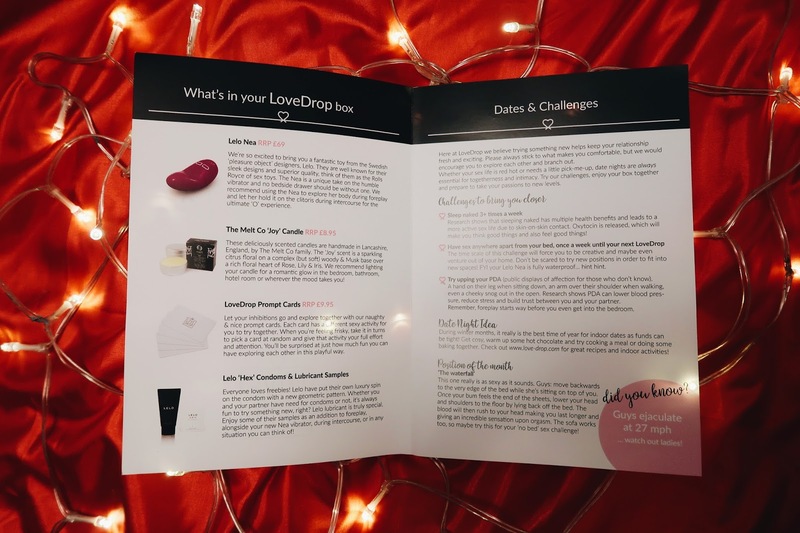 Love Drop is the perfect gift for this, and with Valentine’s day around the corner, I can’t recommend this subscription box enough. 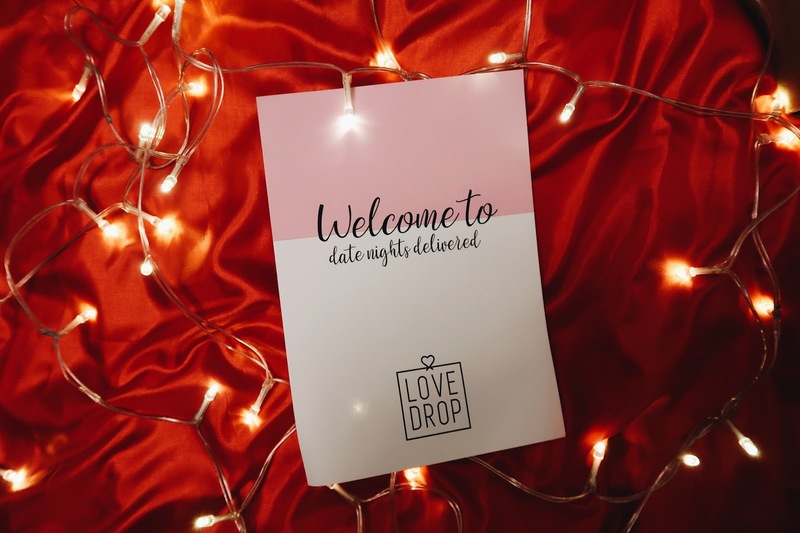 The box comes (excuse the pun) once every two months, and contains some amazing new products for you to try out with your partner. The box costs £45, but the contents exceed this in price and quality. This month, I received items that totalled well over £90. 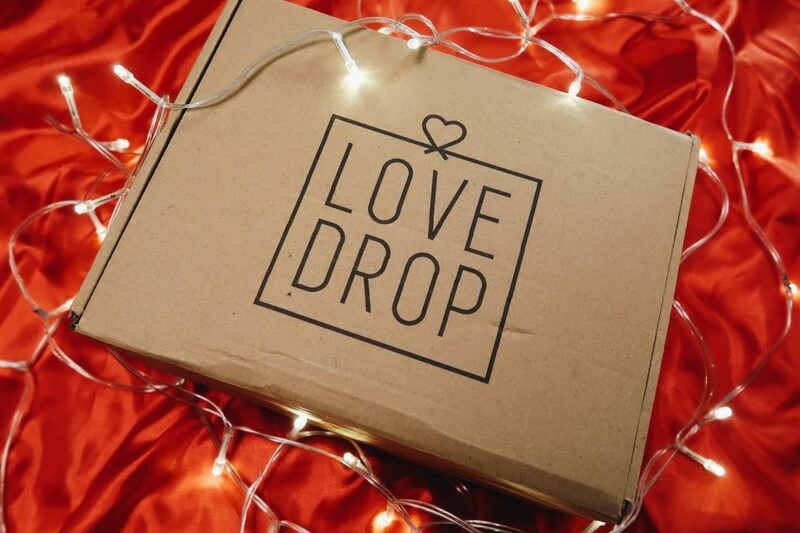 You can also skip a month if you find that you’re loving your current box, which is pretty cool (especially if you find that money is a bit tight too). 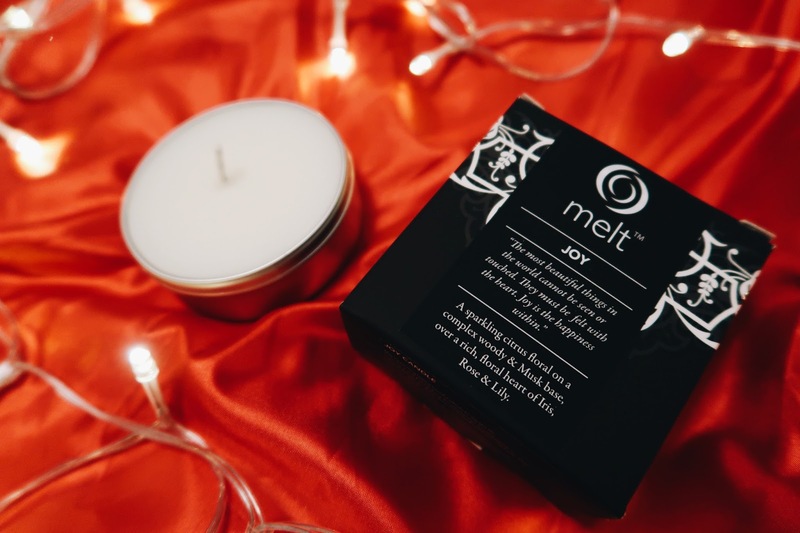 This little box is the perfect treat for this Valentine’s day, and if you order now, you can get £5 off your first box with the code VDAY18.